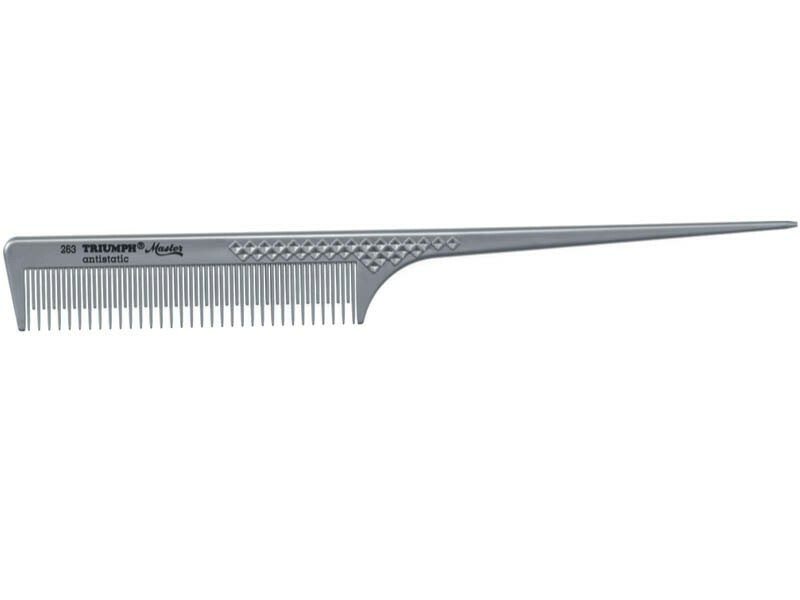 Triumph Master backcombing tail comb is specially designed to add volume to the hair and create amazing styles. 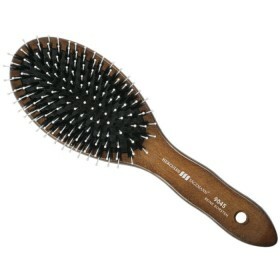 It is crafted in Germany by one of the world's oldest manufacturers of exclusive combs and brushes. Since 1856, Hercules Sagemann has been producing premium hair tools that are resistant to breaking and offer maximum protection to the hair. Triumph Master tail comb proudly continues these traditions. 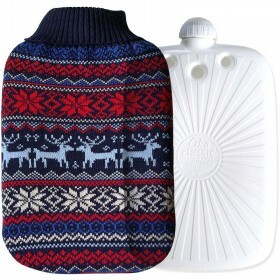 It is moulded into its final shape in a single production step and is therefore free of uneven edges that would damage hair. 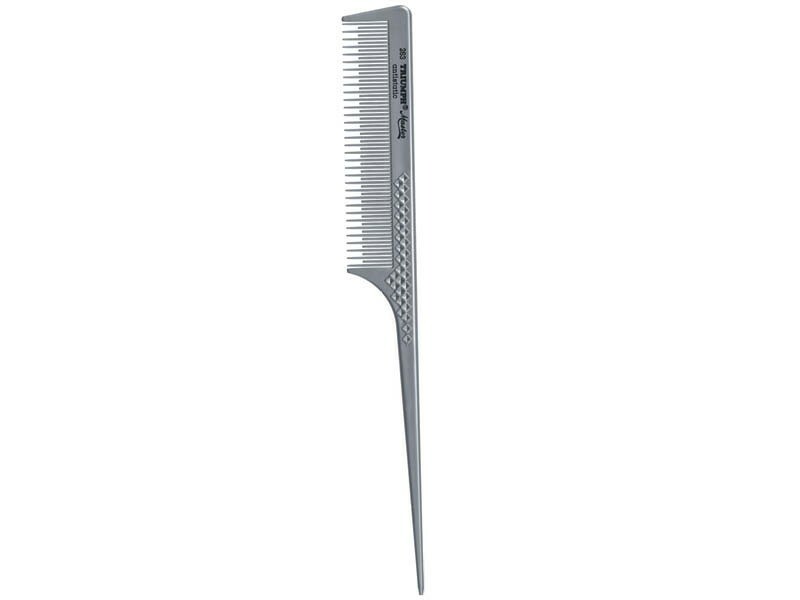 With a strong body, rounded tail and special teeth setting, it is fantastic for use in the salon or at home. 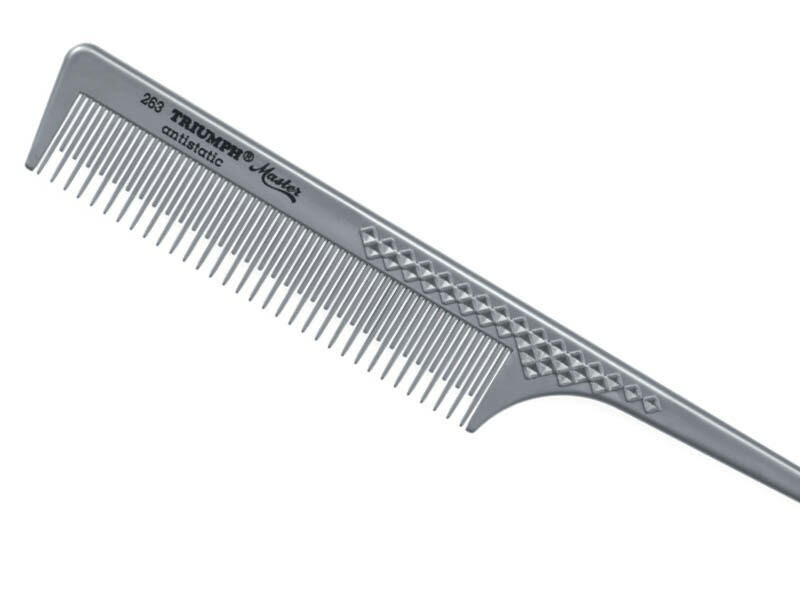 Triumph Master tail comb is professionally made for hair teasing, also known as backcombing. It is crafted in Germany and features special 2/1 teeth setting that helps achieve a perfect hold (so no need to worry about re-styling your hair half way through the party). 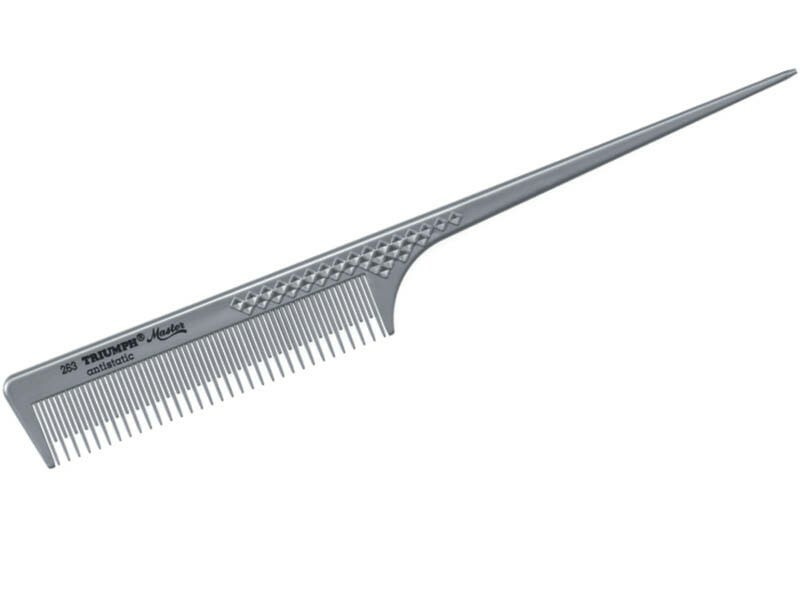 Carefully selected plastic compounds make the comb almost indestructible and free from coarse, hair damaging burrs. 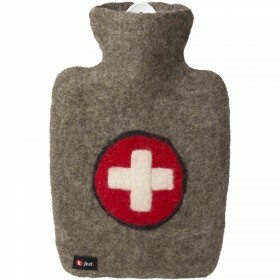 As a result, it glides perfectly and feels gentle on hair and scalp. 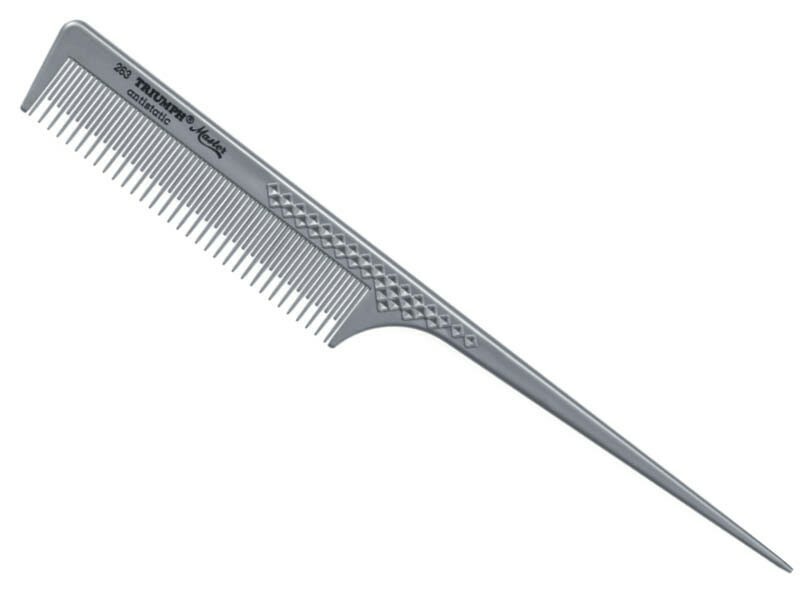 Rounded tail is great for separating hair, while grating makes the comb perfectly stable and balanced in the hand. Professional quality is further enhanced by outstanding resistance against most known chemicals used in a hairdresser's practice. Enjoy your signature hair styles without compromising the health of your hair.